A small 3D printed quadcopter with carbon fibre arms. Designed for low weight. 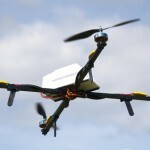 Can be flown using FPV, but is also very manoeuvrable and fun to fly LOS. STL files available for download. 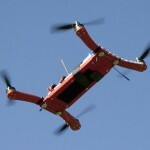 A small 260-size mini quadcopter for fast flying and doing flips and such. 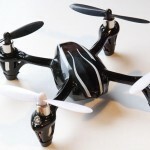 The Hubsan x4 is a ready to fly kit. I have not designed it. On this page, I share my toughs about it. 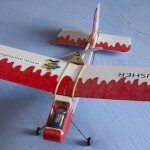 A small airplane I have designed for indoor flying. It is made to be easy to fly, durable and fast to build. My design is based on a very old model called “Tichy Stik” by J.A Benson. This is a lightweight quadcopter I built using four of the old motors and the ESCs from the hexacopter. Built to fly around with and do flips. 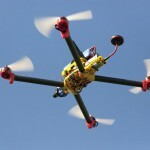 This quadcopter is basically a second version of the hexacopter. I used fuselage from the hexacopter and built a new frame for four motors instead. After flying my quadcopter for six months, I have learned a lot of things, now I will start building my next multirotor using my experience form the quad. 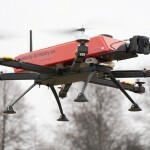 This was also my first time testing the Aurupilot Mega 2.6 flight control system. 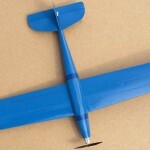 This is a fiberglass glider from HobbyKing called “Reverb”. I Usually design and build my airplanes myself, but this is an ARF. 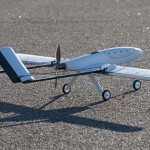 This is a new version of the Skyracer 3.5 with a larger wing. The goal with this experiment was to give the Skyracer a bigger speed envelop. 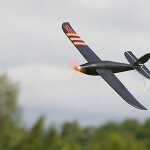 Multirotors has been a growing part of the RC hobby for a while now. I wanted to build my own in a way that makes it stand out from other multirotors. 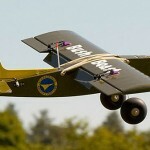 BushBeast is a combination of a aerobatic airplane and a bush flyer. I designed and built it in the summer of 2009. BushBeast has large control surfaces, a powerful motor and large pneumatic tires. 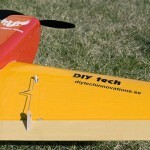 It is also equipped with some homemade electronics and gyros to stabilize the airplane in flight. An autogyro is a combination of an airplane and a helicopter. It has a rotor generating lift like a helicopter, and it is driven forward by a normal propeller, like an airplane. 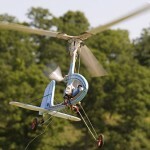 This homebuilt autogyro is the result of a lot of testing and developing. 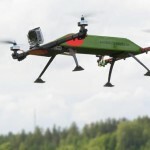 It is equipped with an electric pre-rotator to spin up the main rotor before takeoff. Vanishing Point is a fast, aerodynamically shaped twin boom pusher complete with a homebuilt gyro stabilization system with a working pitot tube. 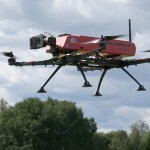 Skyracer 3.5 is fast, maneuverable and portable. One of the best features with this little airplane is that it is almost independent of the wind due to the small surface arias and its speed. UnderCover is a my little aerobatic foamie.